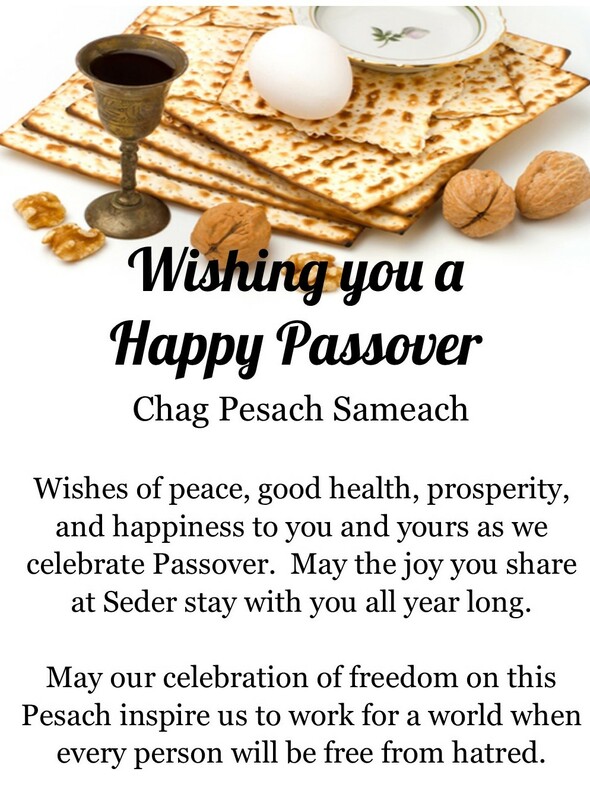 Spend the second night of Passover with your congregational family! A beautiful seder meal (that you don’t have to prepare or clean up!) led by Rabbi Bryan Mann and Cantorial Soloist Sandy Santucci awaits! (Advance RSVP’s required) ($36 per adult and $18 per child 5-12 years old, (children under 5 are free, no meal provided).